Hello guys, I know that all of you know about importance of DoFollow Blogs and DoFollow Forums in order to get pretty high PageRank (PR). 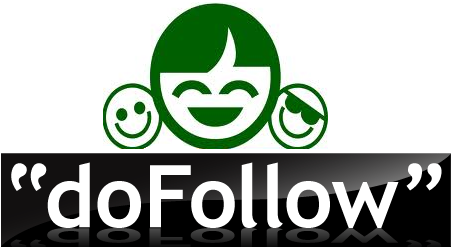 Why SEOs focus only on DoFollow Blogs and DoFollow Forums? Because they know that if they want fruits then use the dofollow attribute and that helps you to boost your backlinks and give link love. Link juice from a high PR blogs for Forums is good for your website or blog to increase your Google Page Rank. Especially, if you are using niche forums which permits dofollow backlinks, forums discussion is not an easy task because over there you want some mature communication to other niche users, if you will do this then you achieve the 50% milestone and you will not only get a quality backlink to your site and blog but you will also be getting targeted traffic. Today, I am sharing you list of DoFollow Forums which have Google PageRank (PR), first select few of forum which based on your niche and register an account on them. One you are registered, then add your signature and use yours blog URL in it. Remember one thing once you are registered user then you stay active user and you will get quality backlinks as well as niche traffic. To be frankly, It’s not possible that you active everywhere but I will recommend that give a visit to every form and select 4-5 forums of your interest according to your site niche and stay active. Now I give you some technique while discussion in forums like in forums I tried to help as many folk as I can and seek for help when I need one. I mentioned the above dofollow forums; I am active on few of internet marketing forums (WarriorForum, V7nForum, Bloggeries, Sitepoint and Digital point forum). One more thing is you just to keep checking these forums for Dofollow attribute because sometime webmasters remove the dofollow attribute because of spamming. I have faced similar problem in past that’s why I know that. If you have or you know more DoFollow attribute forums with Google PageRank (PR) then let me know. If you think that this post is good then kindly share with other friends. One you are active user, do first thing is read forum FAQ before leaving a post, it will little bot help you while working on forums. Why you take copy content from other site then try adding the source name. So, that if anyone wants more information then anyone get detail information’s. Don't submit stupid things. Try to make maintain the quality and therefore make it informative.